Armed Forces Day is a day of paying tribute to and honoring members of the military. In the United States it is celebrated annually on the third Saturday in May. It is the highlight of Armed Forces Week which starts on the second Saturday in May and ends on the Sunday after Armed Forces Day. 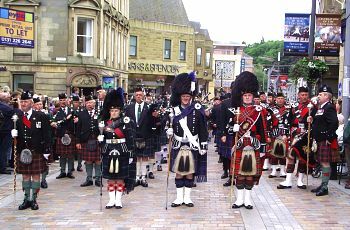 Parades, air shows, military displays, memorial services, flag ceremonies, open days and other local celebrations are held on this day to mark the occasion. 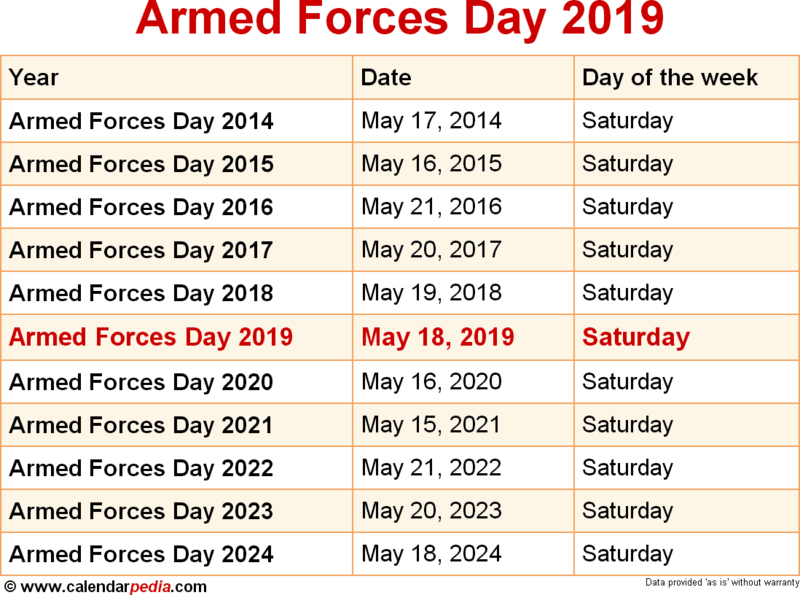 The day was created in 1949 to replace and unify formerly separate celebration days for the Army, Navy, Marine Corps, Air Force and Coast Guard. However, within the respective services the separate days are still observed. Armed Forces Day is not a public holiday in the United States. Many other countries also observe an Armed Forces Day to honor and acknowledge the men and women in their military forces. 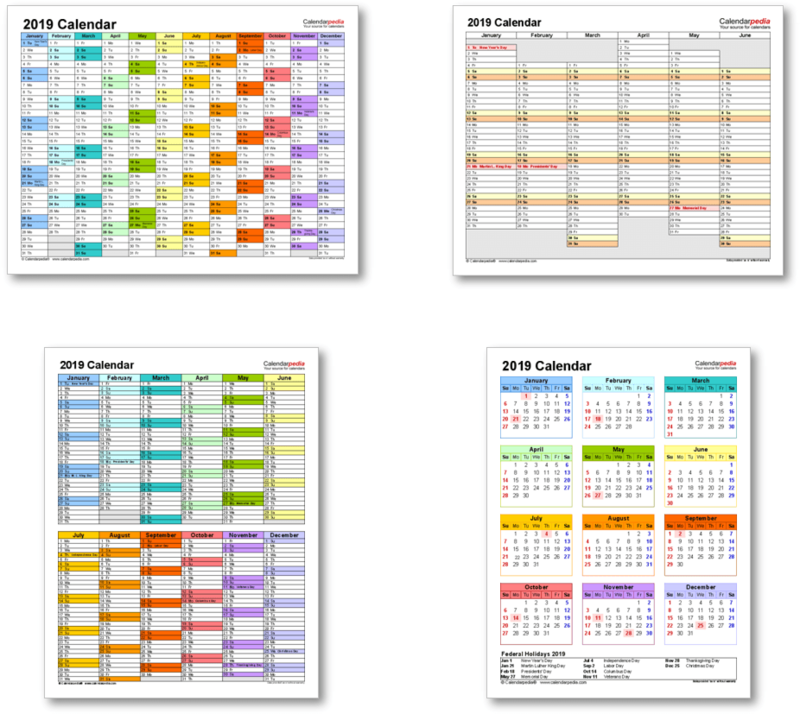 In the United Kingdom it is held on the last Saturday in June, in Canada on the first Sunday in June and in Australia and New Zealand on ANZAC Day (April 25, a public holiday). For a list of Armed Forces Days around the world see Armed Forces Day on Wikipedia. See also Memorial Day and Veterans Day. The next occurrence of Armed Forces Day is marked in red.